In 1993 I spent several months in Japan at a little town called Ibaraki and entered a new world of custom, thought and life. 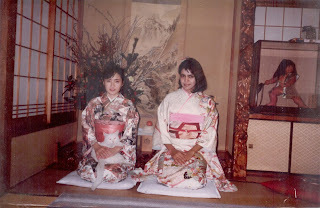 More so when I visited Hakone, Mount Fuji et al in the course of a lyrical, beautiful stay with Sachiko, my flatmate from Los Angeles, and her mother, Keiko Hattori. They gave me a Japanese name, 'Sakura'! Their word for cherry blossom - a most treasured flower, in their affection and desire to make me part of their beautiful family. Since then I was keen to return to my foster homeland and make that journey again - to meet my Japanese family and spend some time reliving those beautiful days. 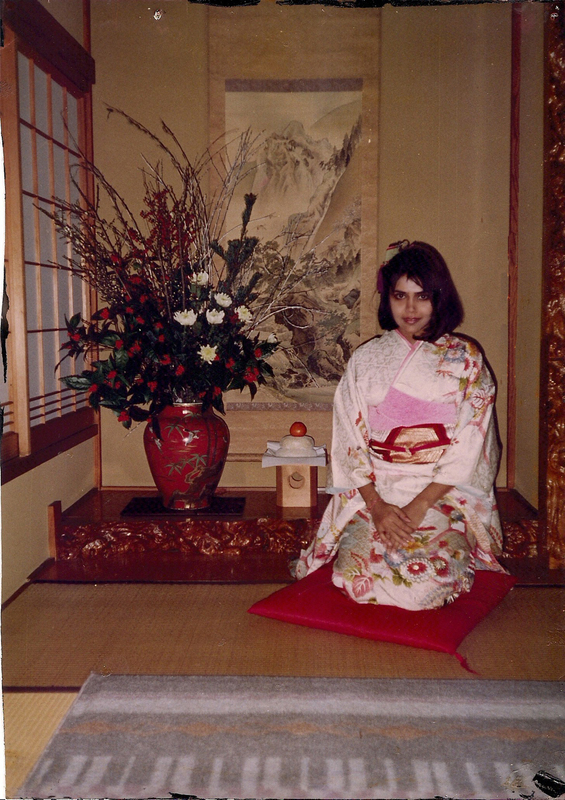 My trips were not only striking, but Japan was even more lovely every time I returned, than I remembered. From our hotel in the heart of Ginza - the Imperial - where the kings daughter had recently got married, and some memorabilia from the wedding was still noticeable in the interiors, one could see the famous skyline and the bullet train whizzing by. The memories of my Sumeda river cruise in a spaceship like liner in the rain under twelve colorful bridges, the rickshaw ride through the Asaksa shrine, the brandy at the Kamiya Bar with my friend Wakako Aito, and innumerable cups of Sencha tea make me feel nostalgic as I sit here in my office today looking at rainy Bombay, looking at the sea tumultuously throwing a tantrum. The pride the Japanese have in their people and their country make me want to work harder at helping make Bombay, and then India, a happier, safer, cleaner place to be in. Much more so now, when there is so much disillusionment with our government and infrastructure. Moreso looking at the way the Japanese, in their meditative calm are rebuilding Japan after the nucleur disturbance and earthquake. Very much like Indian culture, Japanese hospitality is legendary, and the food is a metaphor of their culture in its purity and meticulousness. The Wakame (sea weed) is my all time favorite as is the Miso Soup, the Sukiyaki cuisine that I enjoyed at a private party that the Hattori family hosted for me. And my farewell presents from Kato San is a very expensive Japanese Melon, selected for its perfect form and coloration, wrapped in a box and the canned chicken curry that was made so popular by the Nakamuraya restaurant and Rash Behari Bose who fled to Japan during the Independence movement - everyone is talking about the book that tells the story of his escape to and life in Japan. Sushi with warm Sake is my favorite, and through the eyes of Sugaya San, who is such a warm and wonderful person hosts my finale dinner. Everyone was surprised when on my return I ordered Japanese cuisine on the flight back too. ‘Obviously you aren’t tired of the food?’ observe my good friends when I ordered Anago (Sashami Eel) while brunching with them at wasabe the next day.